Shaped like a cupcake, delectable oblate 2-5” fruits parts perfectly calibrated flavor: somewhat sweet, somewhat savory. 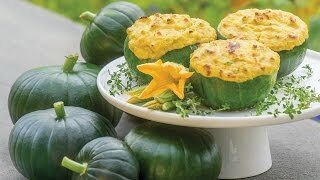 Go-to squash for roasting, slicing, grilling, boiling, and stuffing, ‘Cupcake’ combines patty-pan’s rich, sweet flavor and zucchini’s soft skin. 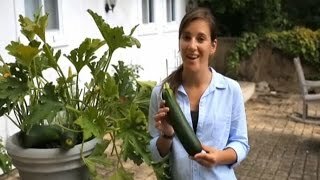 Large, trailing plant yields dozens of round, green squash. This variety does it all. Squash, Summer, Cupcake Hybrid is rated 4.0 out of 5 by 28. Rated 5 out of 5 by Ric Noon from Taste Great, very resilient, Easy to grow First time to grow this variety, didn't know what to expect. But it's a garden favorite now. The plant is very tough, I have to constantly fight off squash bugs and vine borers. It's stalks get very tall and is likes to spread out so it will need plenty of room. We planted 2' from the garden fence and it started to climb the fence until it got to heavy with small squash. It just fell to the ground, Broken some of the stalks but still producing. I was trying to remove vine borers from the above ground root and accidentally cut if of. If the main above ground root gets broken it can be covered in dirt and replanted. We sliced the squash at least 1 1/2 (1.5) inches thick. The rind or skin is very tasty esp. grilled. Sprinkled with your favorite olive oil and seasoning. The meat has a lot of moisture so it tends to cool off charcoal pretty fast. We also tried per cooking it in the oven on broil to reduce the time on the grill. Grilled it until it started to have some black and brown char. The daughter in law cooked it stuffed and liked it. Harvested up to 6" measured across the widest section. The seeds were a little tough but edible. I haven't tried it being 2". Rated 5 out of 5 by SurpriseLexi from Adorable and delicious! I ordered these because I thought they would be fun to grow. They are super easy to grow here in NE and tasty grilled. Been giving them away to neighbors, co-workers, etc. They're enjoying them too! Rated 1 out of 5 by eddietexas from Can not take the South Texas Heat. I planted the seeds twice, and each time the plants came up got full grown, put on flowers and died in the 96 degree heat in South Texas. I water the plants the same amount as the tomato next to the squash. Rated 5 out of 5 by cjoh212 from wonderful flavor these squash are delicious, easy to grow, harvest is fast. Rated 5 out of 5 by Catawbatree from Excellent squash! These squash have done great and are great tasting. Have grilled, fried them and they are sweeter than zucchini. They are excellent producers. Off of seven plants I have probably gotten over a bushel of squash. Rated 4 out of 5 by robinstutz from Very long season I planted three seeds in two little mounds Memorial Day weekend. All six seeds sprouted and I thinned to two plants. First squash was ready mid-July, and they are prolific plants! We had enough for zucchini bread every week and two side dishes, plus plenty to give away. They also spread more than advertised - I'd give it at least six feet. Next year I'll just do one plant. They are still producing well at the end of September, but at this point we are a little burnt out on them! We are letting the last few continue to grow to use as fall decor.